Fay Bennett held posts at the National Sharecroppers Fund (NSF) from 1952 through 1974, directing attention to rural poverty, and was a seasoned veteran of many struggles for social justice in the South. NSF was a nonprofit advocacy organization created in 1937 to publicize the plight of sharecroppers and tenant farmers and to push for protective legislation, social services, and economic opportunities for these agricultural workers. It is now known as the Rural Advancement Foundation International (RAFI). Bennett was deeply concerned about black farmers being forced off the land. In response, NSF had expanded its programing in the 1960s to include the construction of affordable housing and the creation of agricultural cooperatives, two strategies for combatting rural displacement. In the 1950s, Bennett helped form the National Council for Agricultural Life and Labor (NCALL). The council, an alliance of dozens of national organizations, sought to spotlight the difficulties facing migrant farm workers and to generate laws to protect them. Bennett was intrigued by the idea of creating Gramdan-style leased-land communities for former sharecroppers and tenant farmers. 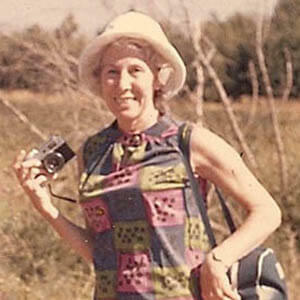 In June 1968, NSF provided part of the funding to send a delegation (including Bennett) to Israel to learn more about agricultural communities organized as a kibbutz or moshav, both of which were developed on lands leased from the Jewish National Fund. On their return, they convened a meeting in Atlanta of representatives from a dozen civil rights organizations, encouraging the creation in the American South of something like the moshav model they had encountered in Israel. In 1969 New Communities Inc. (NCI), the first community land trust in the US, was formed, and she became one of NCI’s staff members. Bennett was on the board of directors of the International Independence Institute, founded by Ralph Borsodi in 1967. During the Kennedy and Johnson administrations, she served on the National Advisory Committee on Rural Areas Development for the Department of Agriculture. She was born in Springfield, Mass., and graduated from Simmons College in Boston. She passed away on December 19, 2002 in Shelburne Vermont.